Point Shot: The Lightning make history - The Point Data-driven hockey storytelling that gets right to the point. The Tampa Bay Lightning were the highest scoring team in the NHL last year, we know they can put the puck in the net, but the offense they created last night was off the charts. The Lightning set a franchise record for shots on goal in their 6-3 win over the Chicago Blackhawks. However, shot volume rarely tells the whole story and in this game, the quality of the Lightning’s shots was just as impressive as the quantity. 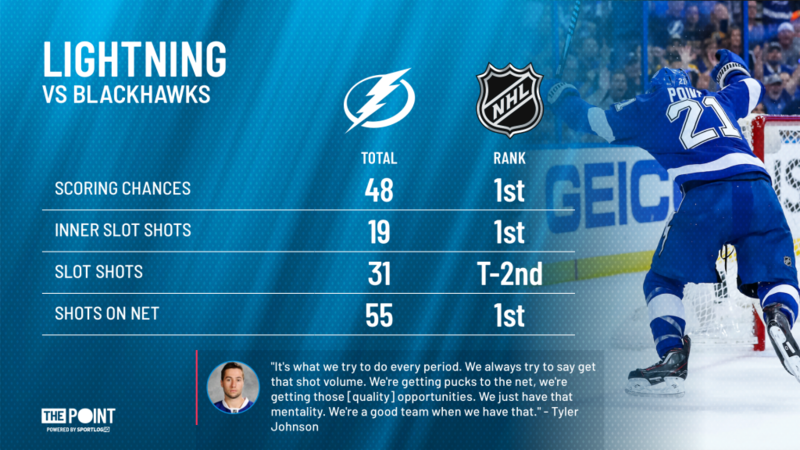 The Lightning had league highs for this season in scoring chances, inner slot shots, and shots on net in their game. Not to mention that their 31 slot shots were more than any team had last season. In the second period alone, they had 33 shots on net, the most by any team in a period since the NHL began tracking shots by period in 1997. 22 of those 33 shots came from the slot which is more than 17 teams have had in a whole game all season. 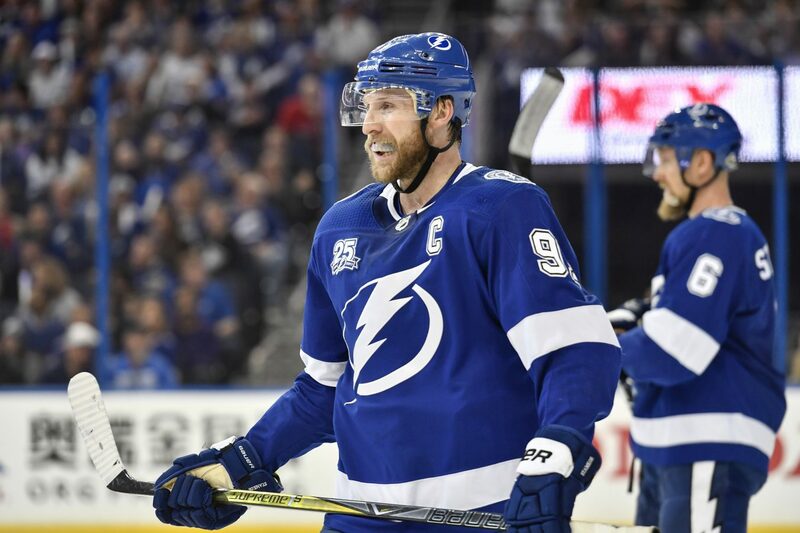 Dominating teams is nothing new for the Lightning and they’ll look to continue to dominate teams offensively all season in preparation for what they hope will be a long playoff run.